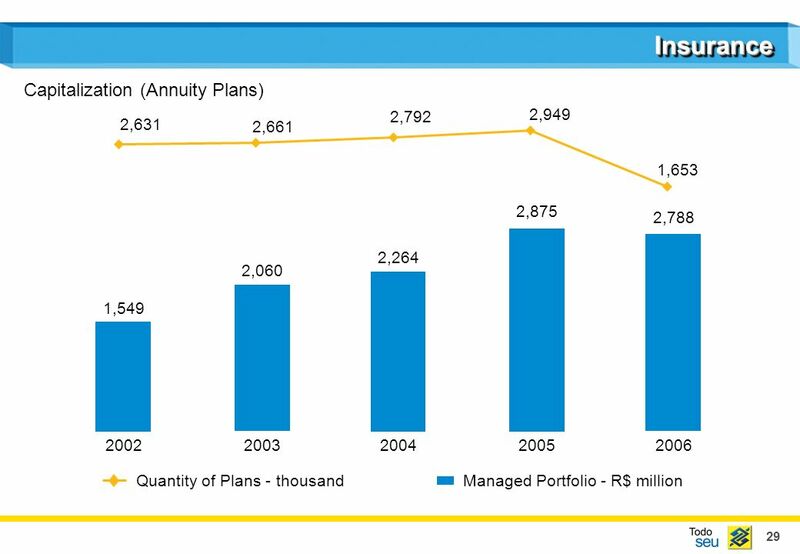 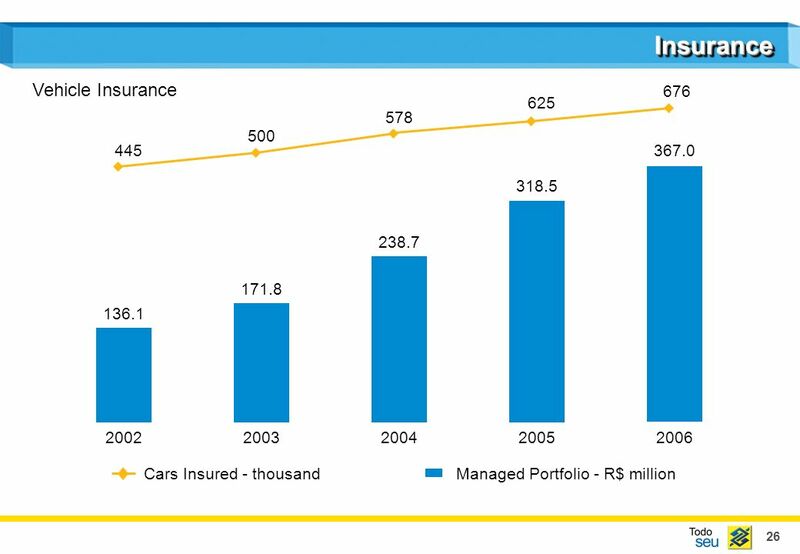 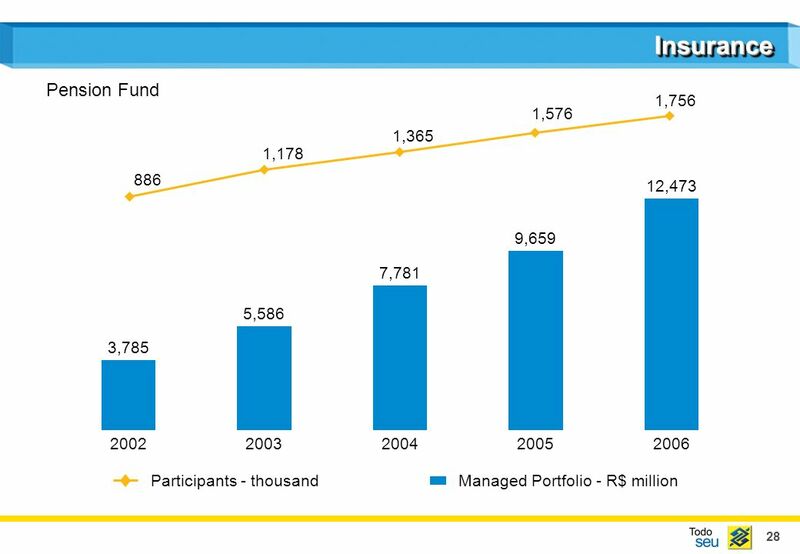 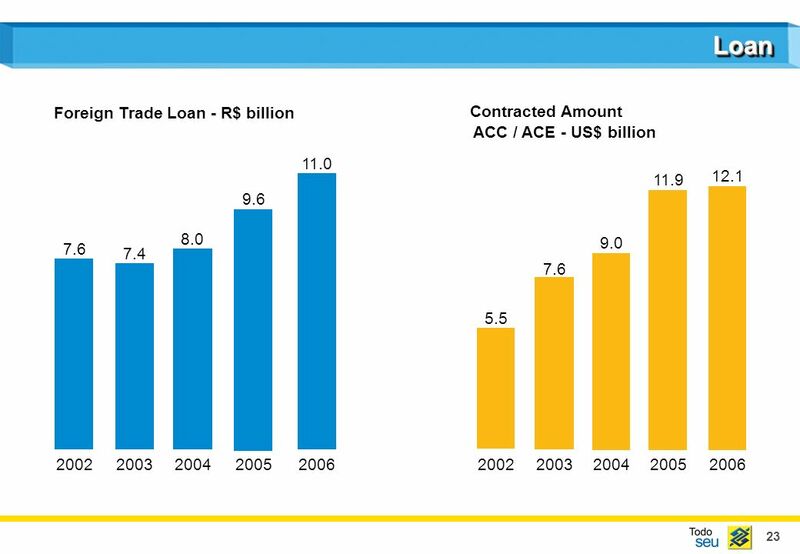 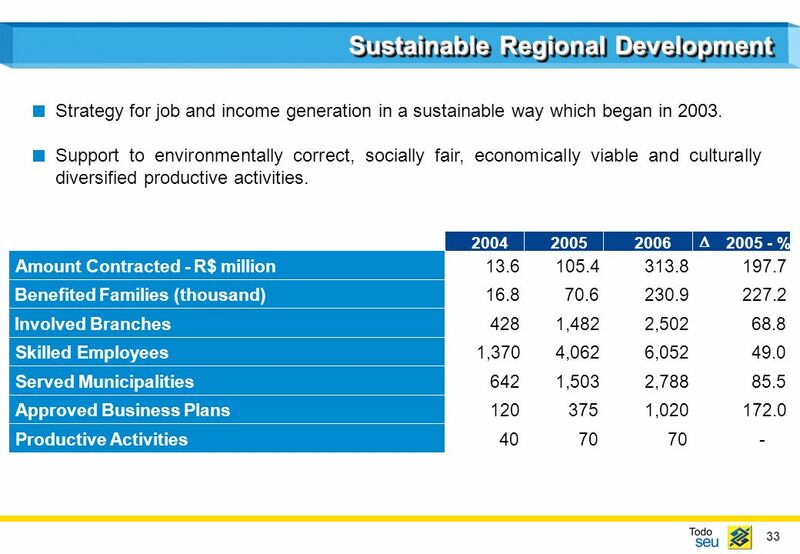 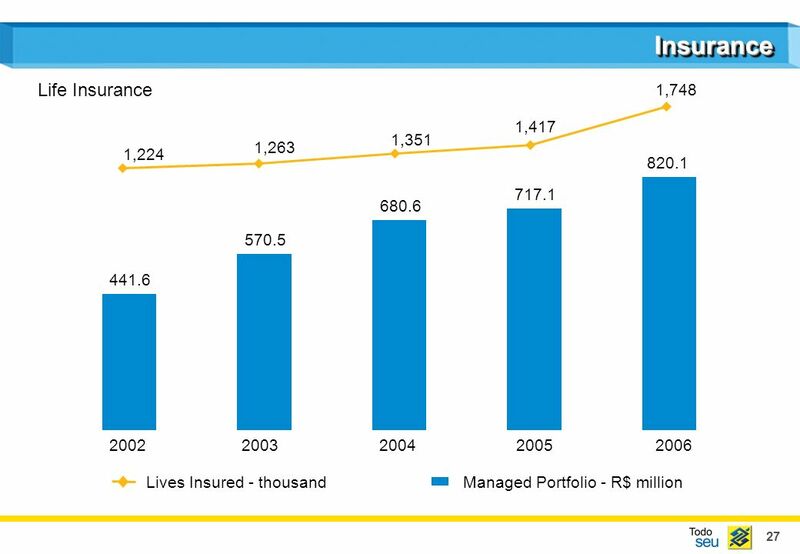 33 33 Sustainable Regional Development 200420052006 2005 - % Amount Contracted - R$ million 13.6 105.4 313.8 197.7 Benefited Families (thousand) 16.8 70.6 230.9 227.2 Involved Branches 428 1,482 2,502 68.8 Skilled Employees 1,370 4,062 6,052 49.0 Served Municipalities 642 1,503 2,788 85.5 Approved Business Plans 120 375 1,020 172.0 Productive Activities 40 70 - Strategy for job and income generation in a sustainable way which began in 2003. 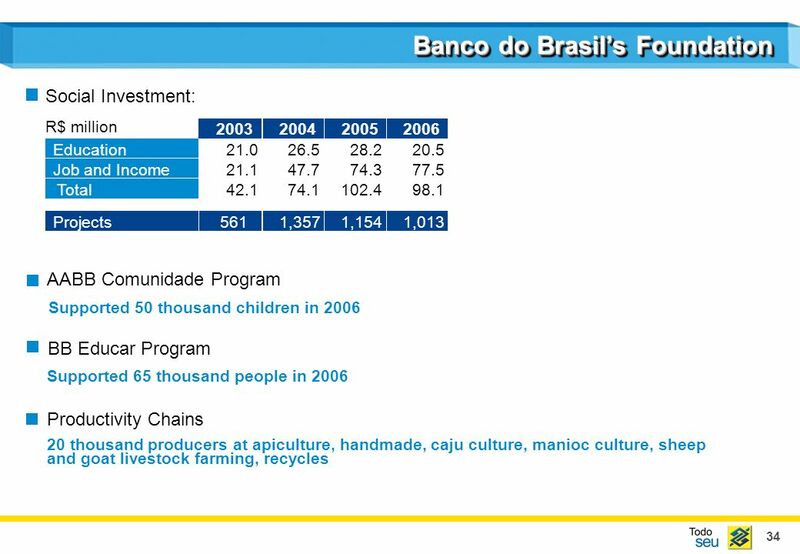 Support to environmentally correct, socially fair, economically viable and culturally diversified productive activities. 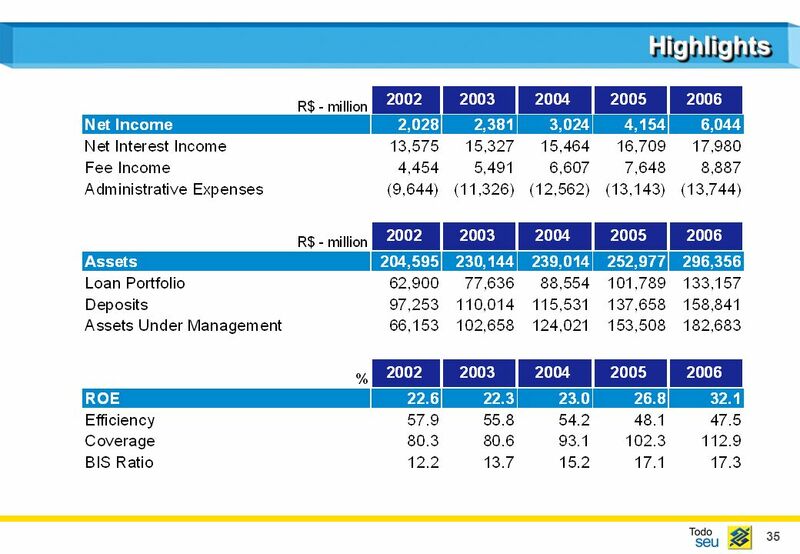 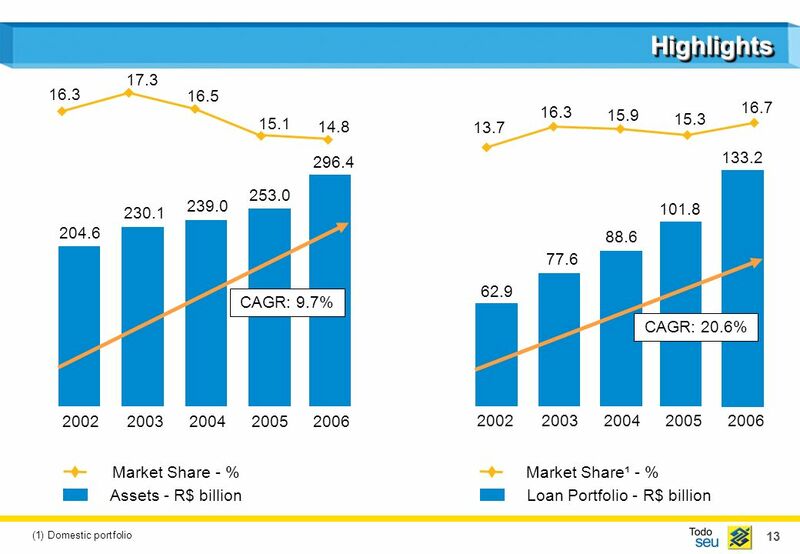 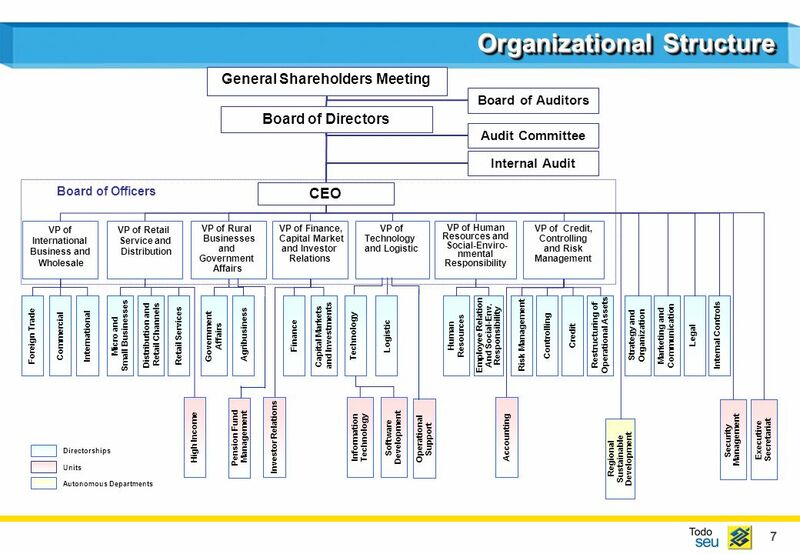 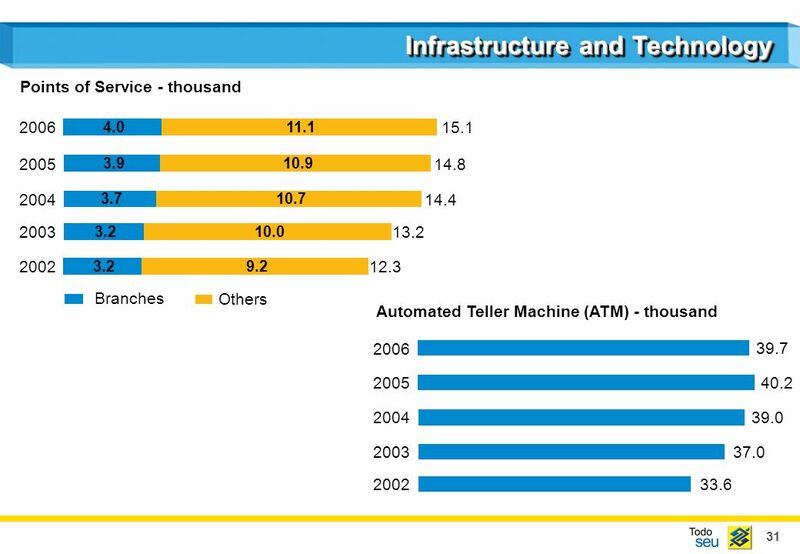 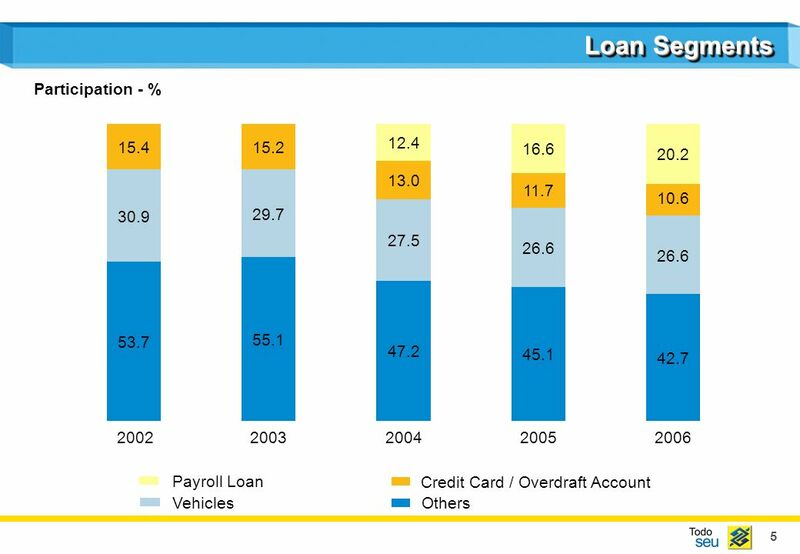 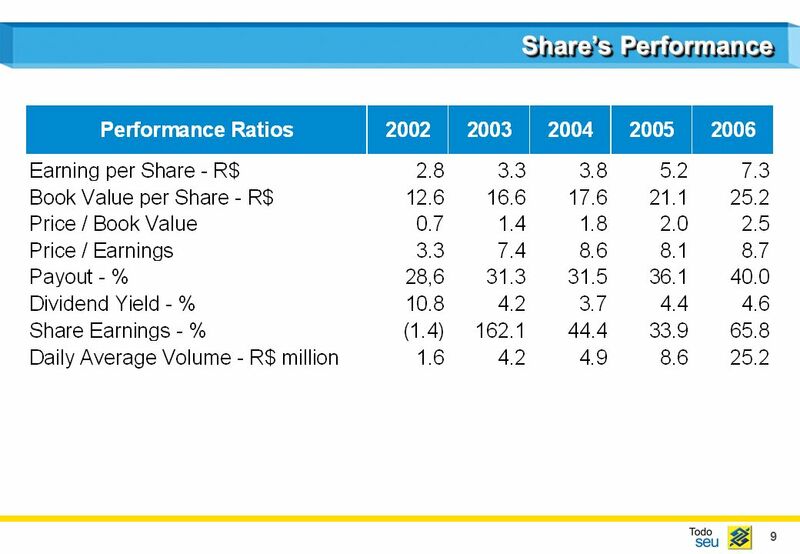 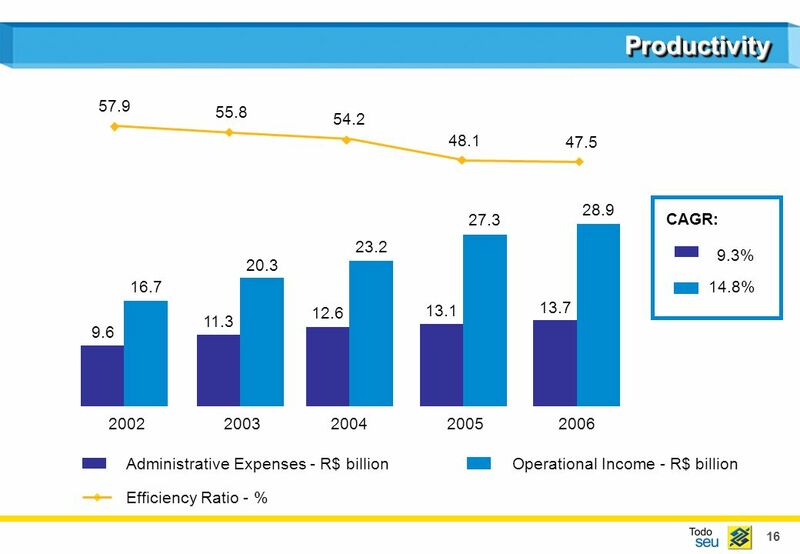 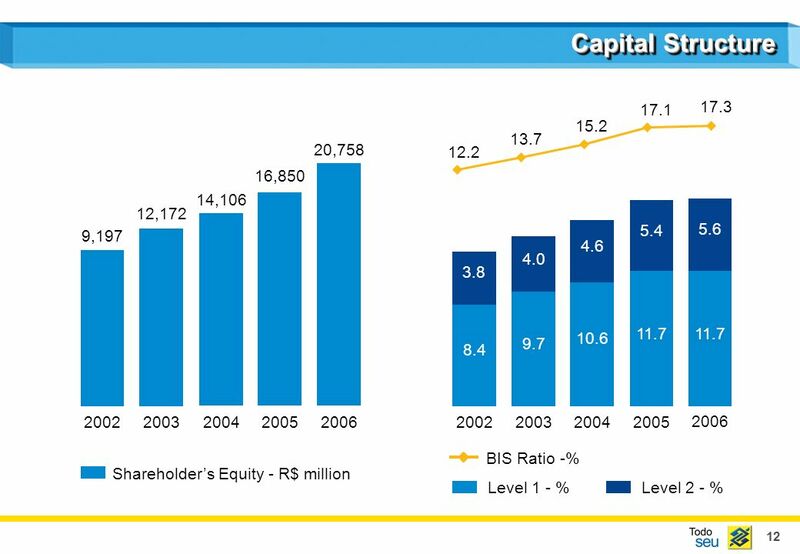 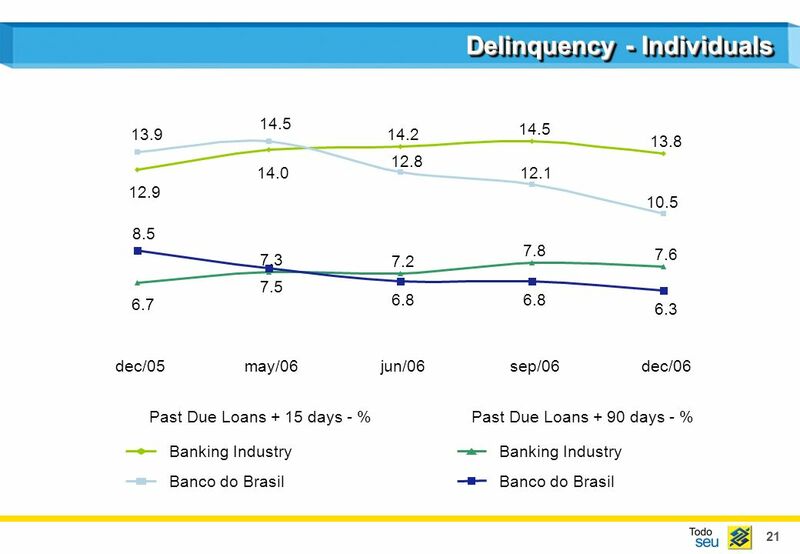 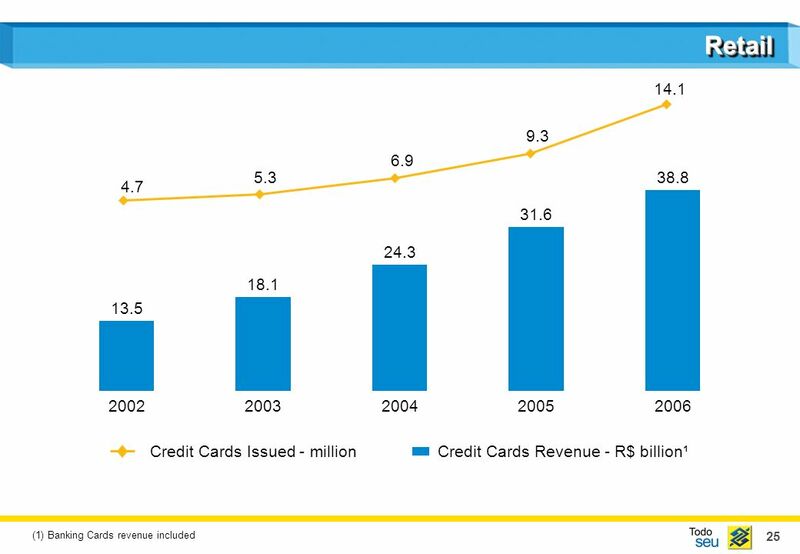 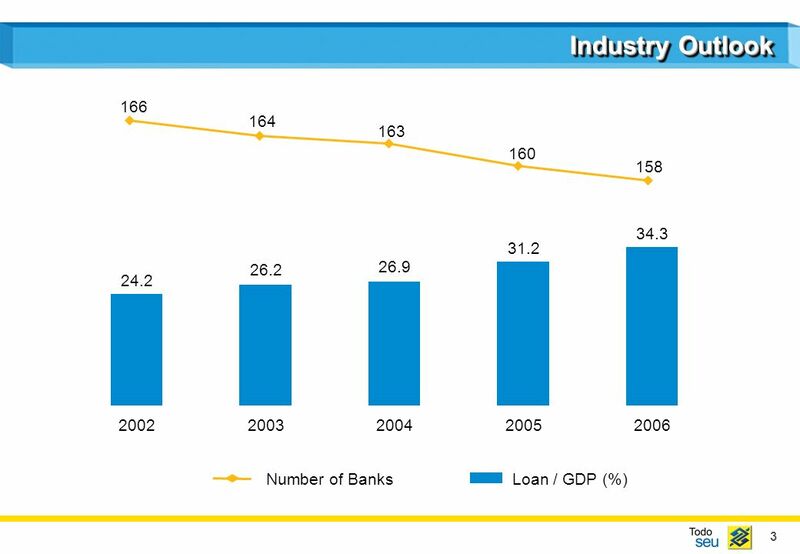 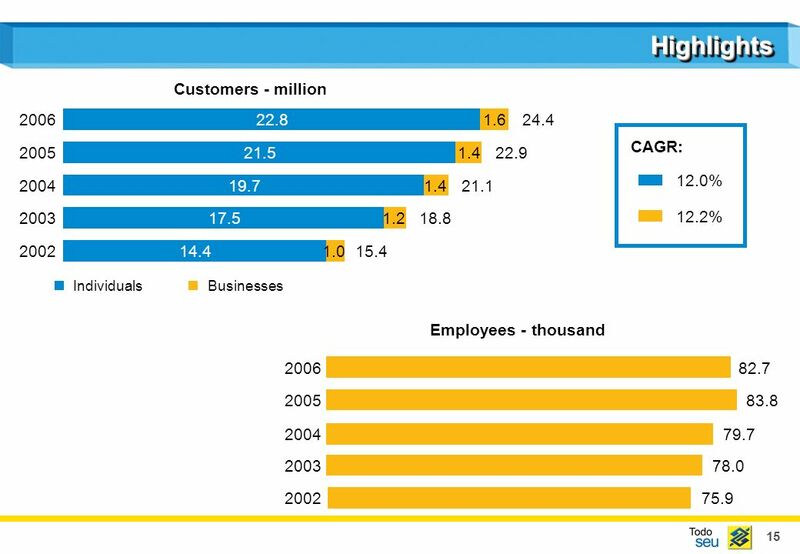 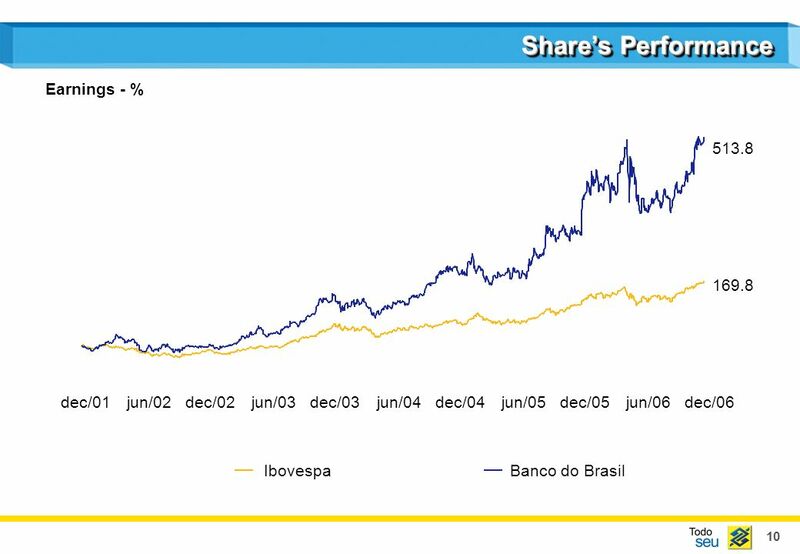 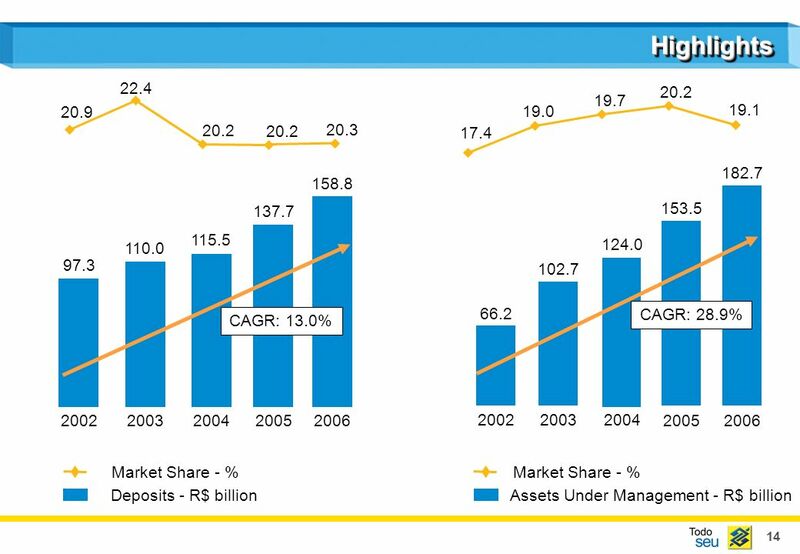 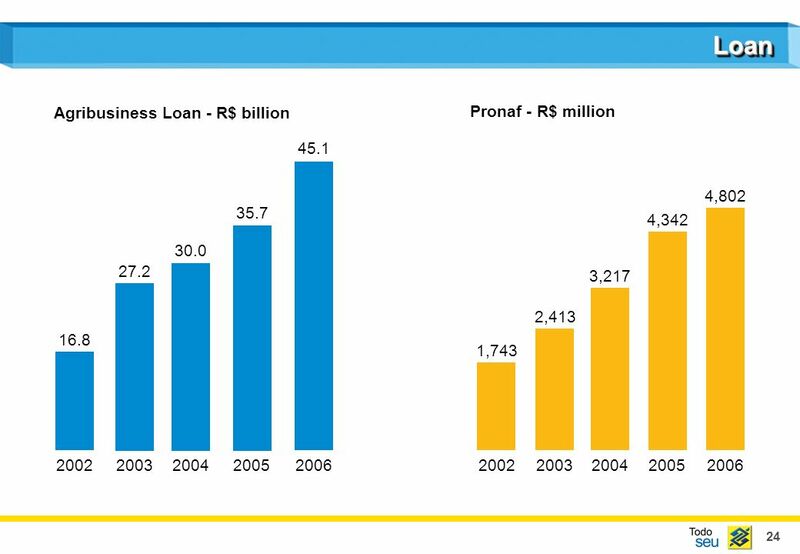 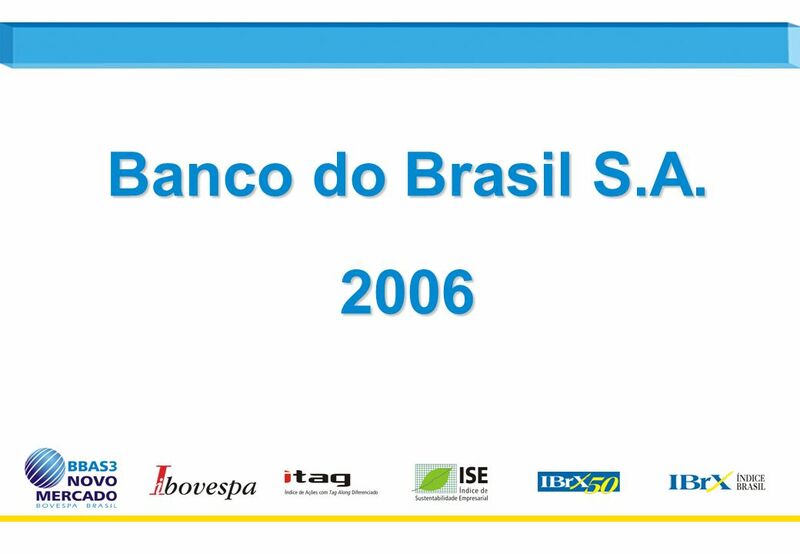 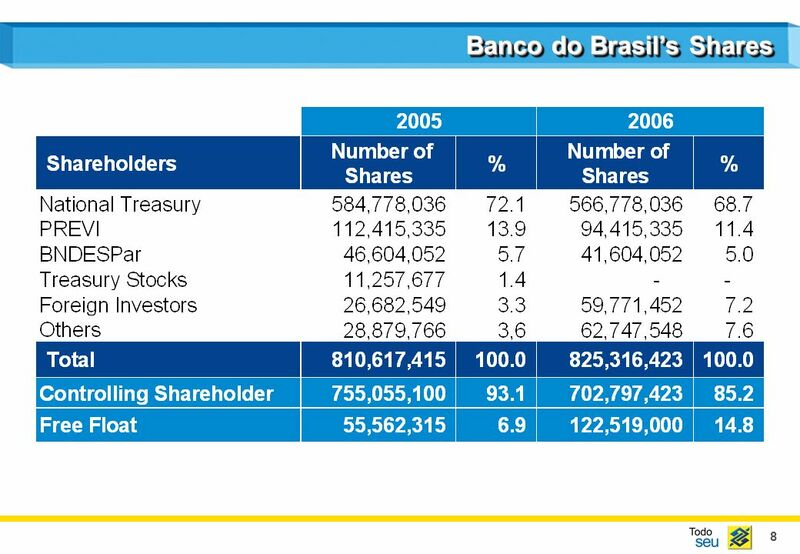 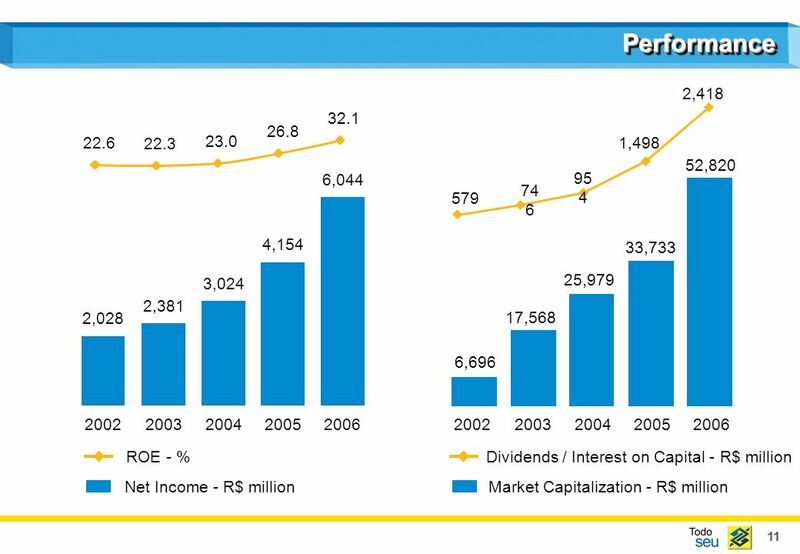 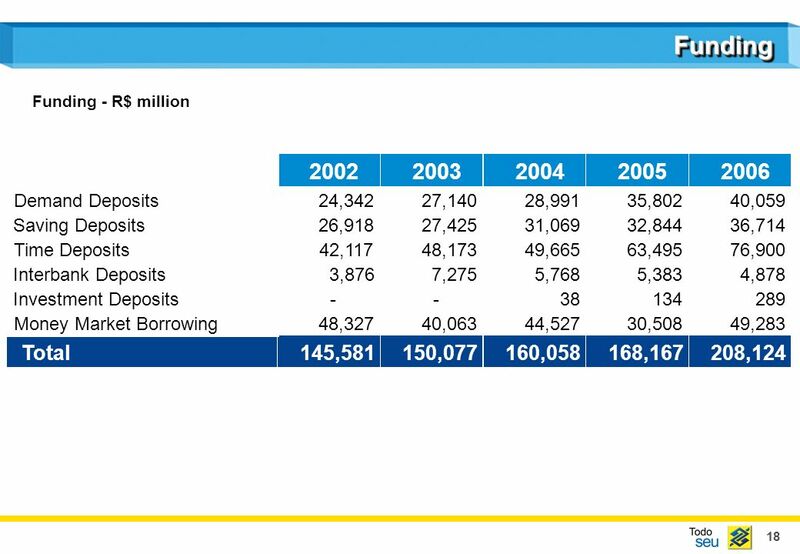 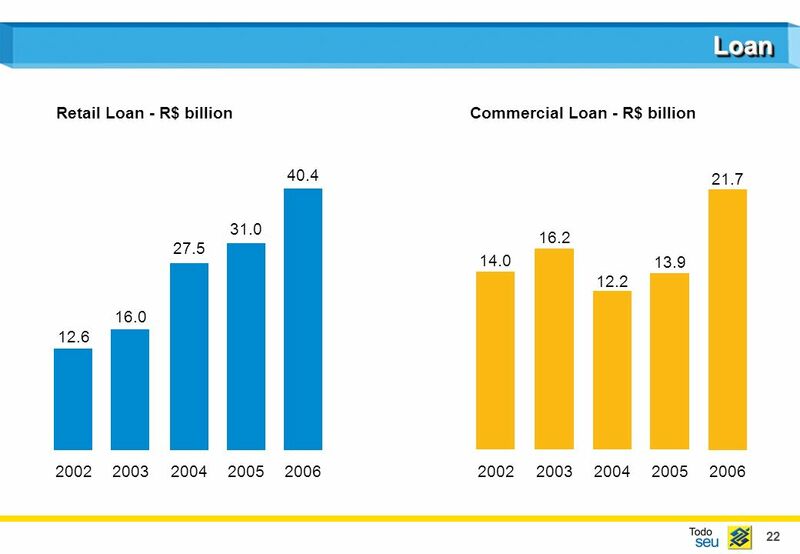 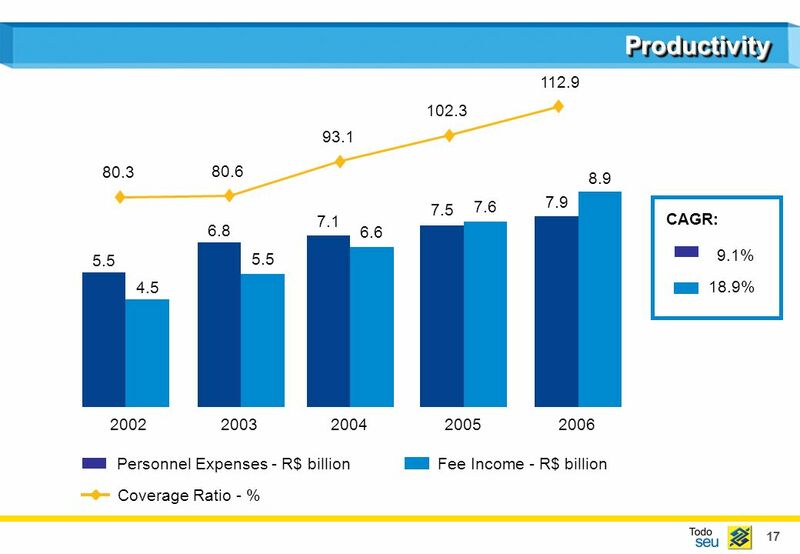 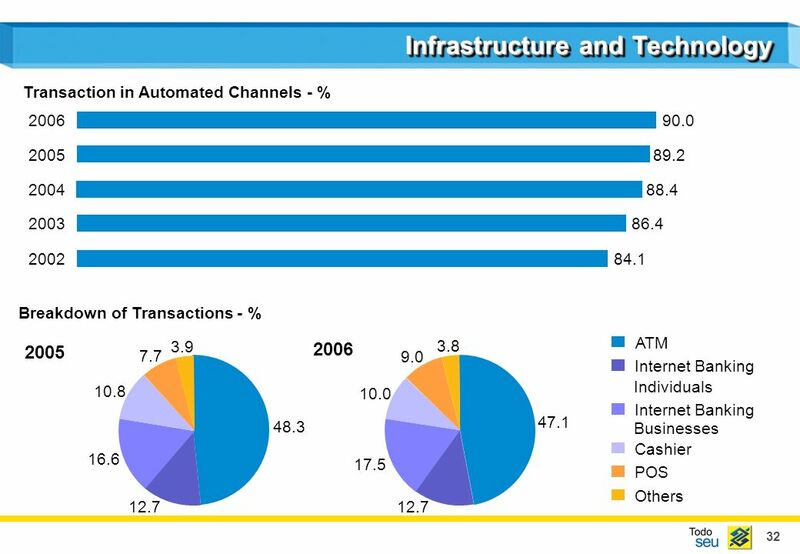 Download ppt "1 Banco do Brasil S.A. 2006. 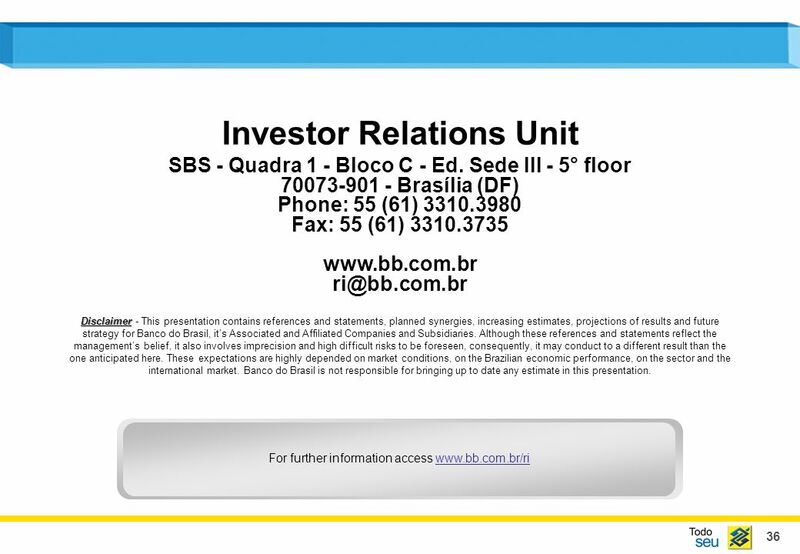 2 Economic Environment Ratios %"
1 Banco do Brasil S.A Economic Environment Interest Rate - Selic Ratio - % Price Index. 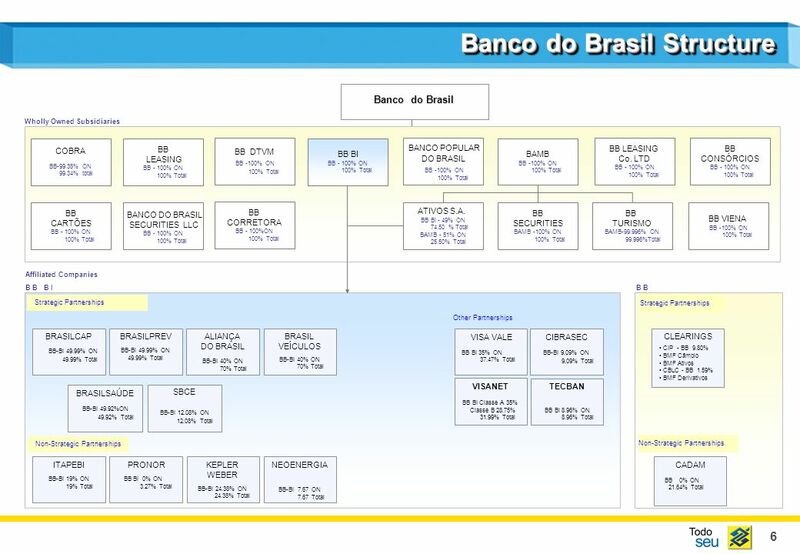 1 Banco do Brasil 4Q08. 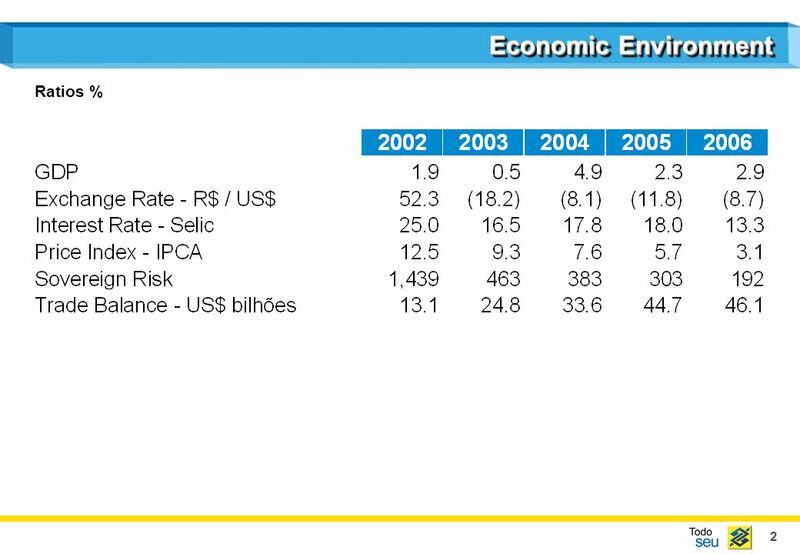 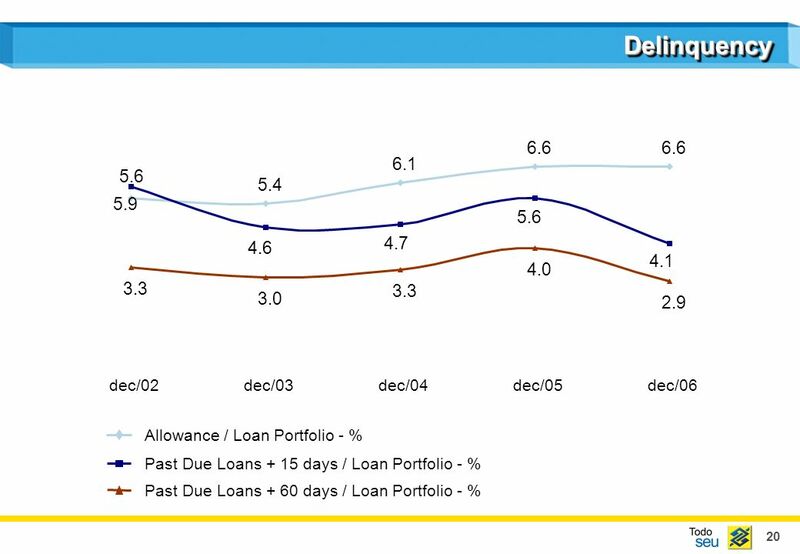 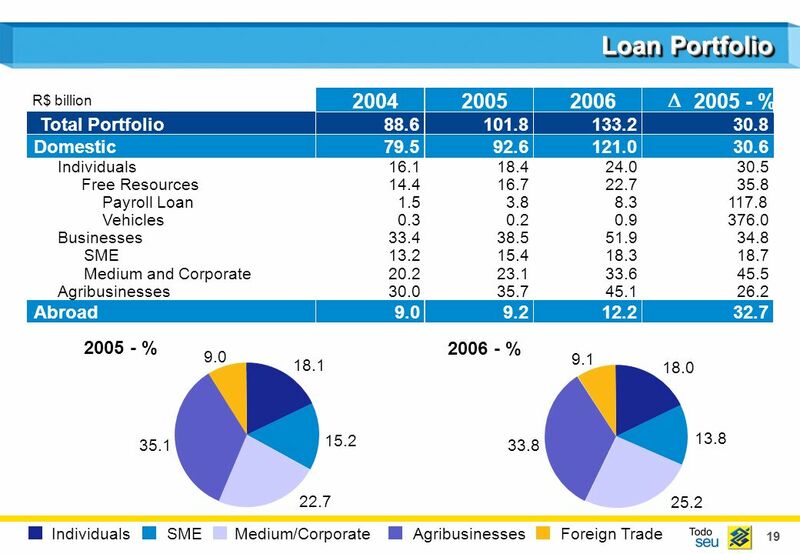 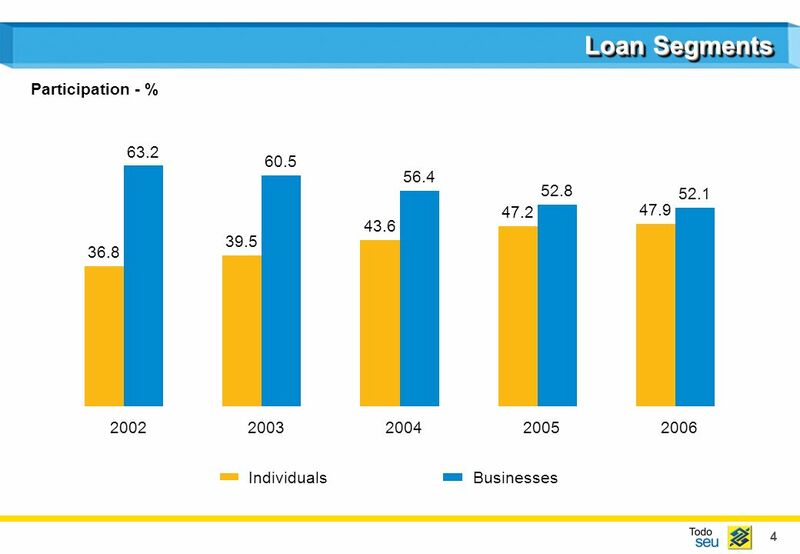 2 Economic Environment Selic Interest Rate Ratio - % IPCA - Price Index 17.8 7.6 2004 18.0 5.7 2005 13.3 3.1 2006 11.3 4.5 2007.